Halloween is about a week away, and you may not realize just how frightening this night could be for your safety or property. Don’t be a scary driver. Drive sober, slowly and even more carefully than usual on Halloween. Watch out for children who may be running or wearing dark costumes. Don’t be a scary pedestrian. While walking, do not text or use a cell phone unless necessary—especially as pedestrian traffic and the number of children outdoors increases throughout the day and evening. Hear and be heard. Make sure cumbersome costumes or earphones don’t impair your hearing. Alert yourself to the sounds of moving vehicles, other groups of pedestrians, bicyclists and animals. Stay accident-free. Temporarily remove or resituate lawn furniture, decorations and any other obstacles to avoid accidents or damage. To avoid trick-or-treater injuries on your property, ensure your home’s entry is in good condition and free of loose or broken pieces on stairwells, and that walkways are clear. Prevent fires. Place pumpkins that contain candles at a distance where curious guests can’t tip them over or accidentally ignite a costume. Extinguish all candles before going to bed and use battery-operated lights if possible. A variety of jack-o-lantern lights are available at most stores that sell Halloween decor. See and be seen. Encourage all trick-or-treaters and adult chaperones to carry a flashlight and, if possible, wear bright colors. Apply light-reflecting material to costumes for additional safety. Use power in numbers. When traveling on foot, walk in groups, cross only at corners and crosswalks—never between parked cars—and keep to well-lit streets. Fend off unwelcome guests. 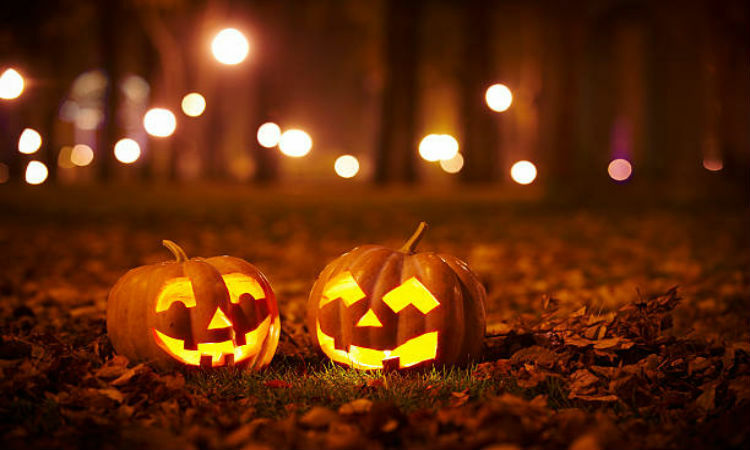 Keep outdoor lights on to scare away thieves andvandals who often take advantage of a busy Halloween night to strike. Keep pets safe. Secure all pets indoors. Warn children to stay away from animals as they go door to door. Halloween night can be stressful, even for the friendliest creatures. Inspect your candy. Cavities aren’t the only candy-related risks on Halloween. Inspect all trick-or-treats and never eat unwrapped, tampered or expired items. Throw away any suspicious candy. Stay aware of allergies. Offer allergen-friendly treats if possible, such as peanut- and gluten-free items, if possible. We at Absolute wish you a very fun-filled and Spooktacular Halloween!